Cloudflare is one of the premier content delivery networks in the world. It is also one of the best DDoS (Distributed denial of service) mitigation solutions which are widely enjoyed and appreciated by web developers. Cloudflare actually enables to secure, optimize and speed up web properties without having to install any software or making code changes. Cloudflare enables the web traffic to flow through an intelligent and safe global network. Cloudflare is one of the best and cheap ways to help protect the website. However, it does not offer WAF (Web Application Farewell) protection which leaves the website vulnerable to attacks like spam, DDoS, and bots. It does not have advanced DDoS protection at low prices. Also, Cloudflare is known to be too compliant with the law agencies and they have been known to disclose important information about its clients which has created a negative image of it. This is where Cloudflare alternatives come into the picture. It is not as costly and it is not known to disclose important client information to the government. 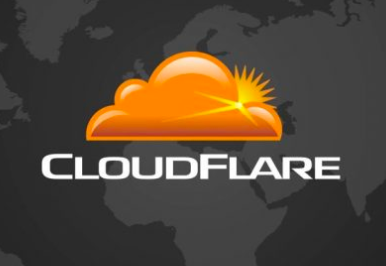 There are various alternatives to Cloudflare and each one has been discussed in detail below. Akamai is well known as a CDN and cloud service provider. It serves a large percent of the web traffic. It provides a huge bandwidth which is meant for protection against DDoS attacks. It provides a wide variety of services that adds value such as application layer protection and Kona Site Defender which protects websites from DDoS attacks. The only disadvantage is that the service is not flexible and it cannot be changed on the go. But if a company is looking for a top-class DDoS protection and optimizing content delivery speed then this is the service to go to. Incapsula uses simple DNS settings to seamlessly route the website traffic through its well-connected global network of high-powered servers. Incoming traffic is profiled intelligently and real-time blocking is used to deal with threats and outgoing traffic is optimized for faster load times. It helps in protecting against an attack as high as layer 7 and provides WAF protection which is absent in Cloudflare. In 2006 Amazon started offering customer access developer which is based on their own back-end technology of Amazon Web Services which is called Amazon CloudFront, but it forms a big part of Amazon Web Services. It has gained popularity in a short period of time because of its effectiveness. Its best feature is that it has dynamic scaling which helps to take care of DDoS attacks which makes it very effective. It uses MaxCDN platform for its services. It integrates API with web application firewall. It is loaded with updates that are available instantly, analysis in real time, and original shield. It is simple to use and it comes at low prices with access to WAF and DDoS protection. It has gained popularity in a short period of time. It gives a wide variety of services like updates related to system configuration, applying cache for content that is dynamic, streaming that is real-time and protection from the ups and downs related to traffic movement which causes a lot of disruptions. It has a flexible pricing structure and the company provides extensive public documentation and API references to its clients. Even though Cloudflare is the best in providing protection against DDoS attacks, it is considered to be costly and it does not provide WAF protection. The alternatives provide specialized services according to the company’s requirements. They provide a lot more services and at cheaper prices. Looking at Cloudflare and its alternatives it is understood that both have their own advantages and disadvantages. Each organization has its own needs and based on that they can select which platform they will use. These services are pretty new and a lot of improvements and innovations are going to come up. There will be a plethora of options for the firms to choose from in order to protect their websites. All in all these technologies are making the websites more and more secure which is best for the firm as well as its clients or users.